Due to a random series of events involving storytelling and poetry last September (long story!) I was invited to do a talk at a “Gathering of Global Minds” event organised by the Saskatchewan Council for International Cooperation. 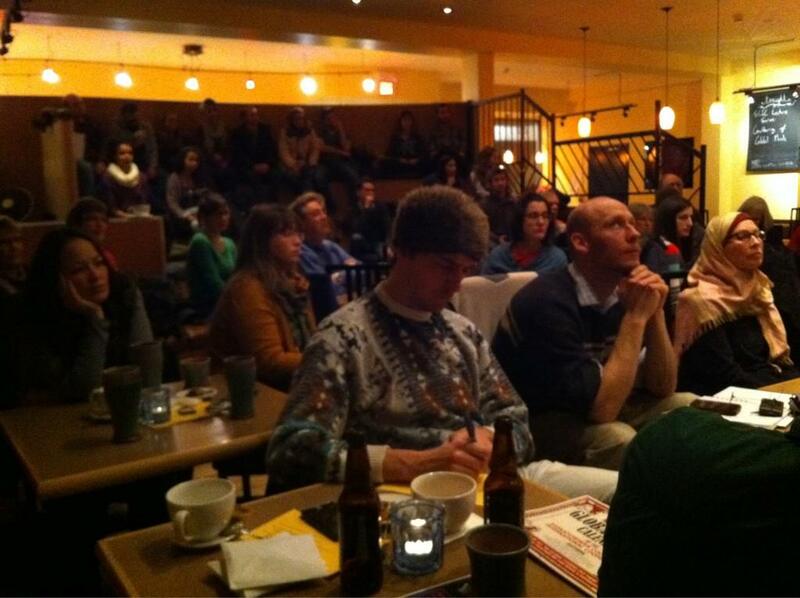 This happened on 23rd January at a very nice cafe bar here in Regina. I was honestly not expecting there to be as many people in the audience as there were, so it was quite scary – especially given the subject matter. “Buying a better world?” Or, more simply, Fairtrade! Again! And they wanted me to critique it! Again! And I was told in advance: “The people coming to the event will range from moderate to radical supporters [of Fairtrade]”. Woopedoo! I was more than a little worried about getting harrassed by the Traidcraft mafia again like last time….. Anyway, I was sharing the panel with Alicia from a shop called 10,000 Villages that sells artisan, Fairtrade crafts, and Nathan, who’d been working with Fairtrade cocoa farmers in Ghana. It proved to be a really interesting night; our separate talks actually had a lot in common and the audience engaged really well, asked a lot of questions and didn’t take any offence at Nathan and I pointing out some of the problems with the fairtrade system! My critique was, as normal, mainly based on economics. Alicia’s emotive talk about how Fairtrade helps impoverish communities and empowers women and preserves traditional crafts etc was spot on – the system does do a lot of good and I am not denying that for a minute. Neither can I fault the original intention of the Fairtrade movement. My issues are just with the execution of that idea. I’ve already posted on this blog about how the Fairtrade minimum price for coffee ($1.36 per pound) was just half the price of coffee on the New York Commodity Exchange in the last few years (which reached a 35 year high of over $3 per pound in 2010) – and whatever the bigger coffee companies claim, it is very naive to think any large importing company would volunteer to pay more than they actually had to for the commodity. Case to point, in 2010 when the commodity exchange price for coffee was at its highest and the fairtrade minimum was less that half that price, Starbucks and McDonalds both suddenly switched their entire coffee range to Fairtrade in the UK. Now call me cynical, but I’m fairly confident that this wasn’t because they’d magically become ethically aware over night. Nevertheless, (also as pointed out on this blog) the Fairtrade Foundation did react eventually, and by August 2011, had altered the rule and now said that buyers should pay the fairtrade price or the normal market price, whichever was higher. . This meant that farmers would get the same higher prices and benefit from the global market, but those in Fairtrade-certified cooperatives would also get the social premium and the benefits of all the Fairtrade community development projects as well. All very well and good, but it was a very long time coming – and I’d argue, too little, too late. My main concern though, is still with Quality. Regardless of the new rules regarding the Fairtrade price, the demands of capitalism mean that the highest prices will still be paid for the highest quality coffee, regardless of its fairtrade status or lack of. I had workers at the cooperatives in Nicaragua telling me as a statement of fact that coffee which achieves 85 or more points on the cupping scale is sold off as ‘specialty’ coffee for the highest prices, then the crops that fall into the 65-85 points range are sold to Fairtrade buyers for a lower price. This means not only that the fairtrade price is still lower, it also means that stuff sold with the Fairtrade logo could actually be much lower quality than the stuff sold outside of the Fairtrade system. But when we buy it, we can’t tell! The Fairtrade logo tells the consumer nothing about what the coffee tastes like, but too often those who try to shop ethically automatically make the link between “ethically good” and “tastes good” – which may not be the case at all. I also tried to explain the cupping process and issues with knowledge inequality. In very simplistic terms, cupping coffee is a very skilled job and one that takes years to perfect. The vast majority of these skilled cuppers (who have a huge influence over the price the farmer receives for his crop) are employed by the large roasting and importing companies. They visit the cooperatives, sample the coffee and grade it, (the points system described previously) and then “negotiate” a price for the coffee based on their assessment of its quality. The problem is that it is rare to find the equivalent cupper employed by the cooperative. A cupper from a multinational importing company can go to the cooperative, pronouce the coffee to be only of average quality, and then refuse to pay a high price for it, yet the farmers or the cooperative workers have very little means to argue against that decision. It proves to be a very unequal negotiation, just because the farmers in the producing countries often cannot share in the same understanding of coffee quality and knowledge of cupping that the rich, educated and trained cuppers possess. This situation isn’t likely to change without some serious investment in training at the cooperatives – maybe this is what those coveted Fairtrade social premiums could be used for? At the end of this talk (all 7 minutes of it) I had to sum up and give my “recommendations”. I know it is a very lame admission but despite all my criticisms, I don’t have many plausible recommendations as alternatives to Fairtrade, and I do still see the need for the concept’s existence. I advocate direct trade – small coffee companies going directly to the point of origin and buying directly from the farmers, and therefore cutting out the middle men. However, this is just not practical on a large scale. So few business can afford those trips on a regular basis and those that can are the multinationals I’d like to get rid of. From an economic viewpoint, I think the Fairtrade minimum price should track just above the global market price, but doing this for every single commodity they certify, in every country they operate I imagine would just be impossible. Of course, it would be far nicer for everyone if Fairtrade didn’t have to exist at all – if ALL trade was fair all of the time. But then, we live in a capitalist world and therefore that isn’t going to happen. I’ve said it before repeatedly on this blog… as a consumer, be aware of not just what you are buying, but what you are buying in to. And then buy what you like the taste of, and (in as far as possible) what you are comfortable with investing in. Easier said than done, I know! 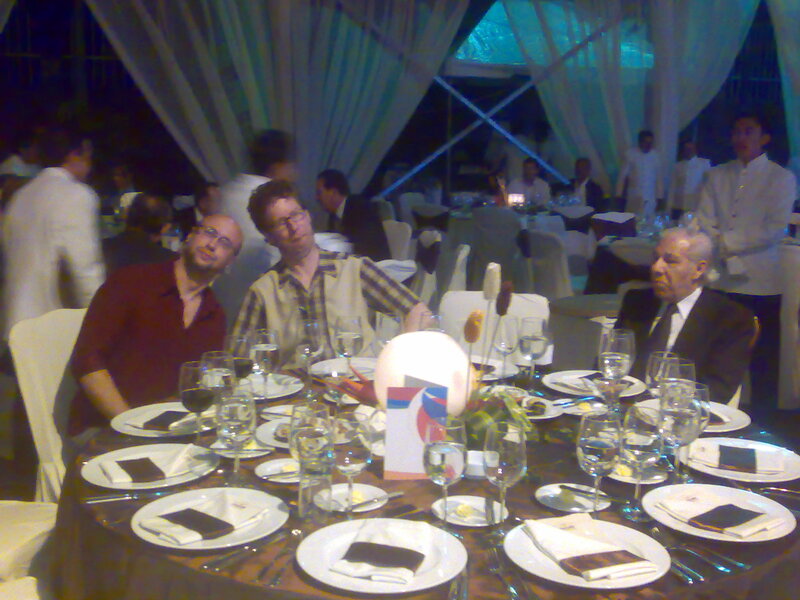 The audience, all ready and enthused to fire questions at me. Time for some pretty pictures. It occurs to me that I’ve been messing around in the coffee industry for six years now. I’ve had a lot of adventures and learned a huge amount. Coffee has taken me all over the place, from the Voodoo Cafe in Darlington in 2006 (where it all began in earnest), Durham for Caffe Nero in 2007, to Sheffield for the PhD for the next four and a half years, London for Caffe Culture and other research gigs on numerous occasions, then Ohio, and Guatemala City for conferences in 2010, six months in Nicaragua and Costa Rica for fieldwork in 2008-9, back to Darlington for my coffee van in 2009, Afternoon Tease in 2010, my first ever North East Coffee Festival and Doctor Coffee’s Cafe in 2011, and finally to Regina, Saskatchewan for 13th Ave Coffee House in 2012. Oh and my book is being published by a German publisher. It’s been quite a journey! Here’s some highlights! These are in no particular order and there are a lot of them! I have a fan! This is a nice feeling. I don’t have many fans. I always remember a mate’s classic comment when we were doing our show at Durham theatre: How’s the audience? I asked. “Oh, she’s fine, thanks.” was the response…. We were talking Demotivation Posters last night too. I was sitting with Andy and Mark from yesterday, and of course, they are from the same area as Kate… I say again, the world is too small. I was impressed Andy made it at all today actually. He said he’d stayed at the Gala til 1am and was pretty wrecked. He did bow out after lunch for a nap, however. Wimp. I wasn’t particularly awake either this morning, despite leaving so early last night, and the morning presentations just seemed to pass me by uneventfully. That was until the session on Women in Coffee. I wasn’t particularly looking forward to this bit – and the first presentation was exactly what I had feared: a video with lots of MEN in suits from important, large coffee companies explaining why it was such a good idea to employ women in their businesses. The statistic that 51% of the world population are women and that “we [who exactly?] should utilise this valuable resource” made me want to do rude things to the big screens. Patronising caca del toro, if you ask me. Which nobody did, fortunately. The session was saved by a woman from Costa Rica representing a very successful and inspiring women’s cooperative, dealing not only in coffee but in ecotourism in one of the poorest areas of the country. Then, there was an Indian woman who started out as one of the country’s first female cuppers. She was a truly excellent speaker and got a standing ovation after her talk. Then came the session that really incensed our little group. Certification, and lots of talks about ‘sustainability’. Environmental sustainability, sustainable development, social sustainability – in particular, getting young people interested in farming coffee, economic sustainability – through certification and differentiation. But not one single person ever attempted to explain what they actually meant by “sustainable.” The academic within me (maybe the Cheese is an academic already?) was screaming “define your terms!! !” Had this been a university conference, these presentations would have got ripped to shreds. I am so jaded nowadays, it seems. The question remains, however; what exactly are they trying to sustain? We were also repetitively told that of world coffee production, only 5% was “certified” coffee, yet the demand for the stuff was growing every year, and certification was a means of differentition, and differentiation could lead to further economic sustainability. 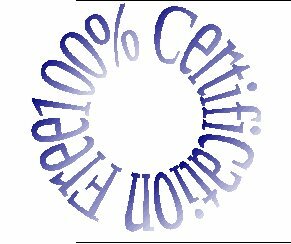 But what does “certified” mean? Certified for what? We concluded that it really just meant anything with a label on it; no-one ‘differentiated’ between Fairtrade (of differing forms) ‘organic’ (again with different definitions), bird-friendly, shade grown, altitude-grown…. etc etc. The problem with this, is that if demand for certification really is growing – due to equally vague notions of “ethical consumption” and “consumer awareness” – then it is in the interests of the retailer to stick as many labels on the coffee as possible. The presentations implied that it didn’t seem to matter what the certifications are actually for, especially since they tell you nothing about what the coffee really tastes like. I’ve already shown how Nestle are pushing their raw coffee via a “Green” label – and of course, it’s all 100% arabica (guaranteed). It may well have been, in a former life, but you might as well say the jar it comes in is made with 100% genuine sand. To this end, we started dreaming up our own certification labels. Mark came up with “Dolphin friendly” coffee (of course – I challenge you to prove otherwise!) and for the health conscious – 100% Gluten Free coffee. We could also have “lo-sodium arabica” for the American market. I suggested “Cynic Friendly” coffee (no cynics were harmed in the making of this product), and for Kate and I, “Academically Sustainable” (well, it’s keeping us gainfully employed for the time being!). The all-round favourite though was “Guaranteed 100% Certification Free”. I even started doodling little rosettes to demonstrate this unique coffee characteristic. I may try and put them on cups for Doctor Coffee’s Cafe, just to see if anyone notices. Another fantastic lunch, with the pool looking even more tempting, and soon it was time for the end of conference summaries and the official closing speeches. By this time, Andy had reappeared from his siesta, just in time to help me search out the spare chocolate cake in the coffee break. I tried the same “estoy comiendo para dos!” trick as yesterday, and managed to snaffle three (small) pieces of the stuff and a cappuccino. Suddenly, as I was stuffing my face, a large crowd of black-suited men came marching past, chased by several dozen people with huge video cameras. El Presidente was in the middle of them! Doh, doh doh and double DOH. If anyone sees any footage of his excellence Señor Colom and this conference, look out for me with a large mouthful of chocolate in the background!!! Andy nearly pissed himself laughing at me, which didn’t help matters at all. This particular president was this time joined by the President of El Salvador, Señor Mauricio Funes, who unlike his “good friend” Colom, actually had some interesting things to say. El Salvador’s coffee industry is slowly recovering, after the previous conservative ‘government’ suggested that, as a country, they ought to turn towards manufacturing to improve their economy. Lots of people gave up farming, but the plan didn’t work, and El Salvador ended up even more impoverished. Lorena later described Funes as a gorilla (methinks, ‘guerrilla’ but I appreciated the sentiment). He was a former left-leaning journalist and had his own TV show; CNN describe him as Marxist, (but then, that means very very little) but otherwise I don’t really know enough about El Salvadorean politics to pass judgement! I have just had to write my latest little summary of what I’ve been up to for the past three months; this little task has to be completed for the sake of the ESRC and the rest of the Waste of the World program to keep up to date with our work, and also for me to occasionally justify my existence at the university! I found it quite hard to write this time, mainly because all I’ve done for the past few months in relation to work is write – writewritewritewrite. 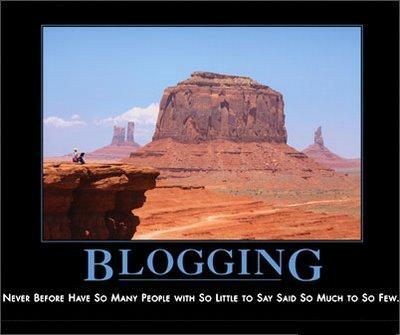 I’ve not done much in the way of active research, I’ve not been anywhere, not attended any more conferences, nothing…. The summary was pretty short. This is Year Three after all: serious thesis writing time. So far I’ve done about 20000 words, and two and half chapters. Typically I opted to do the ‘easy’ chapters first – that is, the more empirical ones on ‘quality’ ‘ethics’ and currently working on ‘skill’. They are all rather lacking in references at the moment though, and read far too much like “this is what I did on my holidays”…. However, I know that this is only going to get harder as soon as I am stuck writing the dreaded literature review or worse – the actual conclusions…. I haven’t really been writing solidly for three months though, but everything else I’ve been up to is hardly academic. Fortunately for me, my taste for coffee has finally started to come back, Not to the obsessive, addicted extent that it was, but enough for me to enjoy the occasional cup again. And of course, I still have my regular supply! Doctor Coffee’s Cafe was extremely hectic before Christmas (not helped by aforementioned lack of energy) but has been severely hampered by the snow in the New Year, as I really didn’t think me standing out in blizzards with very little shelter was the best thing I could be doing with myself at the moment. Still, we are back on track: the snow has gone, cakes are being made every week, my source on the ground in Nicaragua (gracias Andie!) is shipping me huge slabs of 100% cacao for hot chocolate, and I got my final delivery of coffee from Cafe Cristina in Costa Rica. This is a sad landmark: the Costa Rican postal service decided to increase their overseas shipping rates by 107% as of December 09 – yes you did read that right, *one hundred and seven percent!! *, meaning that it is simply not worth Cafe Cristina sending the coffee to Europe any more. Craziness. I am savouring my last batch, but I’ve got to find a new supplier now! Conveniently, at the end of February. And better still, IN GUATEMALA. The conference is all about the future of coffee – in terms of the global market for the stuff, the economic and environmental sustainability of the industry (useful for my waste project), improvements in working conditions, and interestingly, about ‘differentiation’ – specificially, the speciality industry, certification and quality – all exactly what I am interested in! It’s a very full program, over three days, and also coincides with the 50th anniversary of the founding of ANACAFE, the Guatemalan coffee organisation. 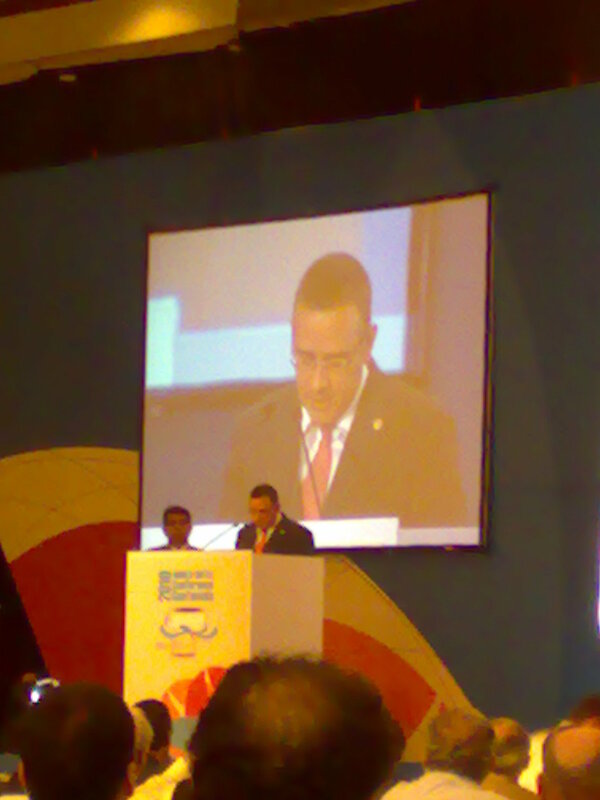 Lots and lots of industry big-wigs, as well as academics, and it is even being opened by the President of Guatemala! This is a biiiiiig deal. Eep. My supervisors were not so keen on the idea, but I think, mainly because they are determined that I get my thesis done in draft form the time I go on maternity leave in June, and this is, and I quote, “a week out of writing.” I assured them that I’d have plenty of time on the 22hour-in-each-direction flights. It is also a blooming long way to go for a conference. However, by pure serendipity, I had exactly enough money left in my university pot of ‘conference money’ to afford a flight and the extortionate registration fee, (I have since learned that there are 13.61 Guatemalan quetzals to the pound. Knowing this didn’t make it seem any cheaper!). By the end of February, I will be 23 weeks pregnant, and still apparently safe to fly. I am not about to pop on the plane, anyway. I managed to get travel insurance with the optional extra of “uncomplicated pregnancy as pre-existing medical condition”. All is set!! I am determined to go – I honestly do think it will be really interesting and pretty useful for the project, I can see what the Guatemalan industry is like in comparison with neighbouring Nicaragua and Costa Rica, but it could also be good in terms of networking. I can’t shake the idea of imminent unemployment after this PhD, and with small sprog, this is equivalent to Impending Doom. Scary. This is obviously going to be my last trip anywhere exotic for quite some time as well. I don’t like that idea much, but I assured for all sides that baby will be worth it! Maybe this opportunity has come along to pacify me? For the first time ever, I am getting a little paranoid about travelling. I will, at the request of darling husband, drink bottled water out there, No volcano climbing. No street food (waa!) I may even spend over ten dollars a night on accomodation (a mortal sin, in my book) and stay in a guesthouse not a hostel… gah. Responsibility does not come easily to me! 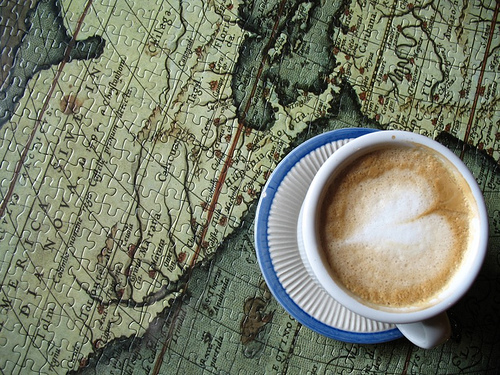 But, nevertheless… adventures in many forms no doubt await me and I am excited about love, life and coffee! Hasta la victoria siempre! Last week I arrived in Manchester, dripping wet and freezing, to present my (unrehearsed, over-long) paper at the Royal Geographical Society conference, whilst wearing bike leathers. I think I made myself memorable! The conference was pretty interesting, but I ended up exhausted by the time it came to the equally cold but spectacular ride home across the Snake pass back to Sheffield. I didn’t die. This is good. There were four sessions per day, all with at least four papers in them. It was a lot to take in, and annoyingly, several sessions which I would have liked to go to, clashed with each other. What I did see though, was all useful stuff. My paper was called “Creating the Quality market – the ethics of Direct Trade in the Central American Coffee Industry” and was in the very interesting ‘Acknowledging Ethical Economies” section. It was difficult to judge how relevant mine was; my topic did seem to fit nicely with the original call for papers, as did all the other papers, but they were all very different. Coffee, ethical consumption as opposed to consuming ethically, Pampers nappies, and how business schools approach business ethics and corporate responsibilty. Nice to know human/economic geography is such a varied subject really.This paper was going a little bit off on a tangent from most of my thesis right now, but in all honesty, it was a bit more interesting to me that most of the stuff I am supposed to be writing at the minute and a good excuse for a subtly disguised rant. It wasn’t the best presentation I’ve ever done, so I’m trying to tidy it up a bit here, and hopefully something will be salvageable from it to go in the seemingly unending quality chapter I’m supposed to do for the thesis in… about a week. Gulp. I do think that this ‘quality market’ is very relevant though – and the ethics of it are my main concern on a personal level, if not an academic one. I have written about quality so often, and there are so many ways of defining what ‘quality coffee’ actually is. A huge range of factors affect the coffee’s quality – from human skill in picking the berries without damaging the plants and processing it correctly, to maintaining the crop between harvests and so on; to non-human agents, the weather, the altitude, the temperature, the machinery used in processing. Interestingly translated cupping form - I love "Not acceptable for Happiness"! For the sake of simplicity in the paper, I used the SCAA’s definition of ‘speciality coffee’ – that is, everything that achieves more than 80 points on their cupping scale. Speciality coffee is sold with the in-built assumption that it is better quality – it is the quality that differentiates it from conventional grade coffee that only gets 60-67 points on the SCAA scale. It is how those points are awarded that is the area of concern here. Coffee quality is tested and analysed by ‘cupping’ it – essentially, tasting it, and the process is very similar to wine-tasting. Some parts of the cupping process are as standardized as possible – same weight of coffee grounds in the same amount of water at the same temperature, same roast level etc. Cupping laboratories are virtually identical the world over. Most cupping is also done ‘blind’ – that is, the cuppers are not given the name of the producers or the region the coffee is from before tasting, to avoid bias. However, the fact remains that the analysis is still conducted using only the cupper’s sense of taste. Cuppers are specially trained, and able to pick out the subtlties and nuances of different coffees, but their taste perception is still subjective, and extremely variable. Taste can be affected by anything from the cupper having a mild cold, to eating spicy food the night before, or even something as indirect as using fragranced cleaning sprays in the cupping laboratories. However, there are few alternative methods of analysis which would provide useful information. An analysis of the chemical compostion of the beans, for example, wouldn’t really be meaningful to the consumer. Instead, the cupper tests the coffee and grades it on acidity, body, fragrance and aroma, flavour and aftertaste, and overall balance, and gives it a grade out of 100. This grading is then used to set the price of the coffee. Although the general global price of coffee is set on the New York stock exchange, this is not always an absolute, and there is plenty of scope for negotiation, particularly when coffee is sold by Direct Trade. As explained before on this blog, Direct Trade is an alternative trade model that, in effect, shortens the commodity chain by reducing the number of actors involved – basically cutting out the middlemen. Coffee roasters/retailers go directly to the producing cooperatives to purchase their coffee. This allows the farmers to not only receive a larger share of the final price, but also provides an opportunity for knowledge sharing. Cuppers can share their expert knowledge of the coffee’s flavours, and in turn, the quality, with the producers, helping the farmers learn how to improve their crop. This can be as simple as the cuppers claiming the coffee is overly sweet, for instance, meaning the farmers should not let the beans ferment for so long. It is often the case that within cooperatives who do not employ cuppers themselves, the farmers are effectively working ‘blind’. Most, particularly in Nicaragua, do not drink their own coffee, and so have no idea what it actually tastes like. Nicaraguan farmers separate good beans from the bad on farms - in this photo, they would sell the coffee on the bottom but drink the bad stuff separated into the basket on the top. This lack of knowledge on the part of the producers provides ethical problems within the Direct Trade model. The coffee market is still very much skewed in the favour of the buyers. Coffee is produced in the third world and consumed predominantly in the first world, and so the power inequalities are obvious. Coffee is a cash crop; farmers often have no other income, and consequently are forced to sell their coffee for whatever price they can get. This fact, along with the lack of knowledge of the coffee’s quality, and also very little awareness of the global markets, the demand or the monetary value of their crop. Cuppers and buyers, on the other hand, are equipped not only with a vast knowledge of the coffee’s quality and value, and of the sorts of markets they intend eventually to sell to, but also with the advantage of choice. If they do not think a cooperative’s coffee is high quality, they are under no obligation to buy it. Therefore, the cuppers/buyers can effectively control the whole exchange, and effectively decide the incomes of all the farming families that have produced that coffee. This is not to say that all cuppers are determined to rip off, deceive and exploit the farmers, but simple economics dictates that it is never going to be in the interests of the buyers to pay more for the coffee than they actually have to. Direct Trade does attempt to address this inequality by knowledge-sharing, as previously mentioned. There are farms and cooperatives in the producing countries, who have their own cupping laboratories and train and employ their own cuppers. 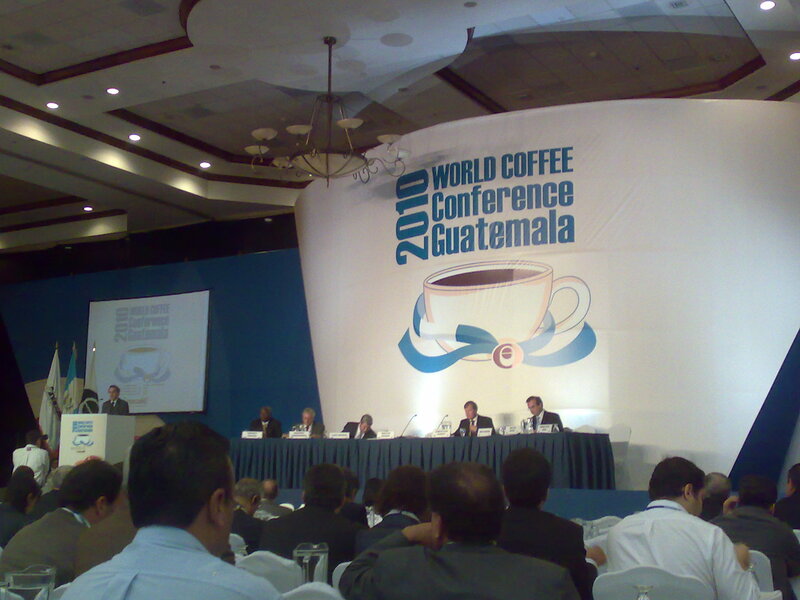 Having someone from the cooperative with an equal knowledge of the coffee’s quality and value, who can also feed back this information to the farmers, is invaluable not only for improving the quality of all the cooperative’s coffee (assuming non-human, climatic agencies are also beneficial) but also as they provide the cooperative with more negotiating power when coffee is traded. This is starting to happen certainly within the bigger cooperatives but also on large, private plantations. There are some very obvious differences between Nicaraguan coffee production and Costa Rican here. In Costa Rica, more farms are privately owned, and the country is richer, meaning that most coffee farmers have access to better resources – such as the cupping lab. These farms sell their coffee to the first world buyers independently of the state-run cooperatives. As such, these plantation owners are trying to make a profit for themselves, rather than on behalf of a huge group of people – in a way, they have no choice but to learn about quality and the value of their crop in order to survive in the market. The cooperatives, particularly in Nicaragua, do much to protect the farmers and provide shared resources which farmers could not afford alone. But in some respects this also hinders them, because any profit made is shared out as well, and also detailed earlier, the quality of the coffee can vary so dramatically over a small region that no large cooperative can really hope to produce 100% high quality. To complicate this situation further, there is the concept of consumer demand. I would argue that the vast majority of coffee consumers do not taste coffee and do not view its quality in the same way the cuppers do. We drink coffee for many reasons – the sociability of coffee shops, fashion, caffeine addiction and so on. An iced 'coffee' with espresso, chilled milk, cherry syrup, cream and marshmallows. Good, but not really coffee flavoured! Often, what we drink bears little resemblance to the simply brewed cups in the laboratory – an iced mocha frappe with syrup and cream on top does not leave much opportunity for the taste of the coffee to shine through! When we can taste it, we buy coffee for the flavours we prefer on a personal level, and excellent quality coffee does not necessarily mean that every consumer favours that taste. We also have very different ideas of what ‘quality’ actually means. My favourite quotation from one of my consumer focus groups is still the response, when asked to define quality, “er.. it doesn’t taste like crap?”. Branding on bags of coffee in the supermarkets, and in coffee shops will always inform the consumer that this is High Quality stuff. But it rarely tells you why it is high quality, because from the consumers’ point of view, how long the beans fermented for, or how thoroughly they were washed is not only not meaningful, it is largely irrelevant. The only thing we have to go on is the price and personal preference. There is also the tricky aspect of ‘ethical consumption’, where coffee consumers are deliberately buying Fair Trade or Organic coffee, and may well be assuming that Fair Trade equals good quality. Although the Fair Trade Foundation do assure us that their coffee is excellent, all the mark on the bag actually tells you is that the buyer paid $1.26 or more for a pound of it, and this is not the same thing at all. In a sense, the buyers and retailers of coffee are not sharing their knowledge and expertise of the commodity with their consumers either, and still leaves me with the question (for which I made myself somewhat notorious at another conference:) Why not let them drink crap if that is what they want?? All this leads to a very odd situation where the buyers and cuppers are effectively creating their own market. The farmers struggle to produce constant, consistant high quality, the consumers cannot and do not demand something which they do not really have much knowledge of. This essentially leaves the buyers/retailers carefully manipulating the branding of coffee to produce a new market controlled by neither producers’ supply nor consumer demand, but by an artificial and highly complex desire for ‘quality’. Most significantly in terms of knowledge-sharing and ethics, it is also a market where both the producer and consumer are in need of ‘education’ in relation to coffee and its quality. Direct Trade then, does go some way towards bringing the consumers more in touch with the commodity’s producers. It does allows the producers a larger share of the price, and when expert knowledge of quality is shared between cuppers working at the cooperatives and the farmers themselves, it can help reduce the power inequalities during trade negotiations, far more effectively than with similar initiatives within conventional trade models. However, it is not a complete solution. Cuppers/buyers still have an unfair influence over the prices of coffee as a result of their greater product knowledge and market awareness, often leaving the producers unable to challenge them. When these buyers are setting the price for coffee without sharing their knowledge of its quality or value with the producers, then this trade model cannot be the most ethical or egalitarian. Further still, when faced with the idea that the demand for this quality may not actually come from the consumers, it raises further ethical questions about the nature of the whole cupping process, and whether or not it is actually necessary at all. Last week (30th April) we all had to troll down to the Royal Geographical Society in London, to present papers about our findings at the half -way point in the Waste of the World program. This was a lot of work. Here is mine, Anna and Joby’s conference presentation.